Golf Clubs in New Jersey often provide membership to the USGA's Golf Handicap Information Network (GHIN) as part of their member services. Golfers who are not members of golf clubs can establish a handicap index through a public golf course or the NJSGA eClub. If there is a golf course you play often or is close to where you live or work, you can inquire at the golf course about setting up an NJSGA/GHIN handicap. You can also sign up online for your GHIN service at select public facilities by completing the form below. Once you've established your NJSGA GHIN Handicap, you are a member of the NJSGA. Using your last name and GHIN Number, you will be able to post scores online. Upon the next revision, you will be able to retrieve your last 20 scores and handicap index at www.njsga.org and www.ghin.com. You will receive your updated handicap index via the NJSGA Handicap eBulletin, emailed to you every two weeks during the golf season and once a month in the off-season. The eBulletin contains a direct link to your latest handicap history as well as the latest news from the NJSGA. For more information about your NJSGA/GHIN handicap or any other golf handicap questions or concerns please search our other informative links under Handicapping or send an email to richk@njsga.org. 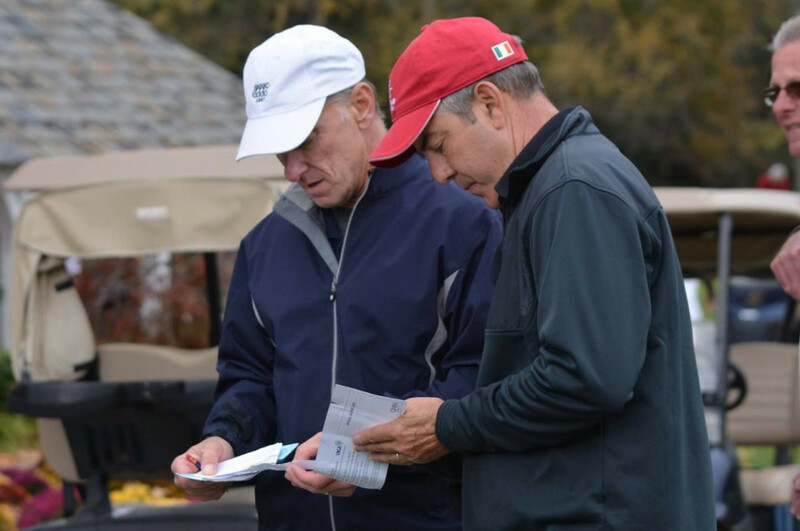 Handicapping Service has been a core NJSGA offering since the late 1980s for member clubs and golfers. The NJSGA utilizes the USGA’s Golf Handicap and Information Network commonly known as GHIN for 200-plus golf clubs, courses and organizations throughout the State of New Jersey. GHIN is used throughout the world; the number of players receiving GHIN services exceeds 2 million. Today, most golfers post scores and look up their handicap and/or the handicap of their playing partners via the NJSGA GHIN Mobile App, which can be downloaded through the Apple and Google stores for iPhone and Android users. The NJSGA eBulletin provides a quick link to a golfer's revised handicap and important headlines for all things golf in New Jersey, and more. The eBulletin is emailed to golfers on the 1st and 15th of every month.